WHY NEED COACHING FOR IIT JEE EXAM? Children and parents have a promising career for their children. Planning and preparation begin early. Before you start, often, students and parents may be in trouble whether to attend a course or consider self-study. This problem occurs in almost all the students' minds, even those who perform well in school. Although it is not impossible to prepare for their own IIT JEE, the wise approach is to guide, to prepare for competitive examinations. 1. Tutoring classes with small student-teacher ratios are most beneficial for students preparing for IIT JEE. Each student has fewer students to ensure that all students have individual attention. This helps students to better grasp the concept. 2. If you're weak on a particular topic, you can get help right away. In addition, suggestions and guidance for addressing weak issues were proposed. 3. Training and Qualified Teachers Instructing and mentoring students is not just academic, but helps their overall development. Ability and confidence building are equally important for the growth of students. A self-taught student misses this advantage. 4. During self-study, questions tend to pile up before students have the opportunity to clear their teachers. This is not the case in the IIT JEE course. The teacher will be able to clear the question immediately so that further learning process becomes easier for the student. It is important to understand the concept from the beginning. 5. 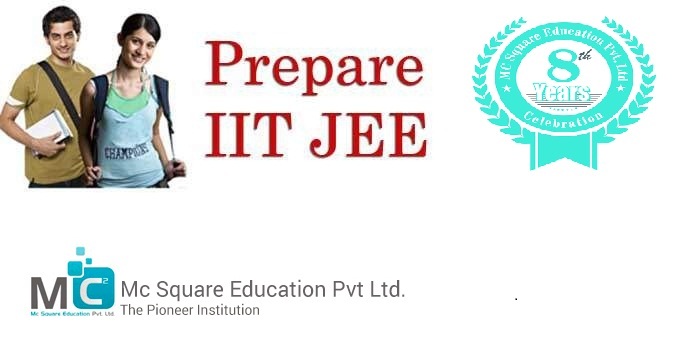 Although students will have to rely on books and recommended learning materials, he may lack the advantages of multimedia and practical learning offered by the IIT-JEE Tutoring Program. 6. The daily assessment and assessment of expert teacher’s helps students identify and work on their weaknesses. Teacher Expert Guidance Improvement is the key to success. 7. In coaching courses with students with similar goals, there is healthy competition and knowledge exchange. 8. Last but not least, tutoring is a good source of motivation for classmates and committed teachers. Motivation is important in the IIT JEE preparation process because preparation is time-consuming and requires the student's partial attention. In the IIT-JEE teaching programs, such as Mc2academy, students face new challenges every day, inspiring them to be proactive and innovative. Brainstorming, finding solutions, overcoming challenges, etc. helps them build their own level of confidence, which contributes to the overall growth of their individuality. It also helps to improve future career prospects.